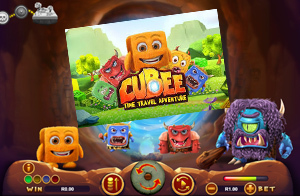 South African online casino players will be among the first in the industry to try out Realtime Gaming’s brand new time travelling adventure themed slot game, Cubee. Springbok Casino announced this week that the game has been successfully incorporated onto its platform, and players have been invited to try out this fantastic new title. The new game joins Springbok Casino’s packed portfolio and can be combined with other amazing titles. The manager of Springbok Casino, Daniel van Wyke was excited to welcome Cubee slot to the site. What will you find on Cubee slot by RTG? Firstly, the game is unique in that it doesn’t use traditional reels and paylines. 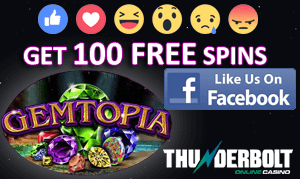 Instead you are treated to floating symbols to enjoy a slot with absolutely no boundaries – to fit with the time travel theme. Join the main character Cubee on his mission to travel back and forth in time in order to save different periods from destruction. This is one of the main attractions of Cubee (among the many other attractive features) – that you get to travel through time visiting different eras. You could find yourself one minute in the Stone Age before hitting the time of pirates or Vikings. Your arch rival in Cubee slot is Rocco and his evil cronies who are on a mission of destruction. How will you save the world? You’ll collect Cannons and Bows and Arrows along the way which can be swapped for free spins and multipliers if you return back safely to our present time. Your success in the game depends on your level of strength. While your default strength level is one when you begin a round, you could increase that level by grabbing power balls that are thrown from a time travel portal. You’ll be able to collect rewards depending on which era you find yourself in. The game has already gone live at Springbok Casino.